A basic that you'll be opting for all season long, these jogger inspired pants are essential. 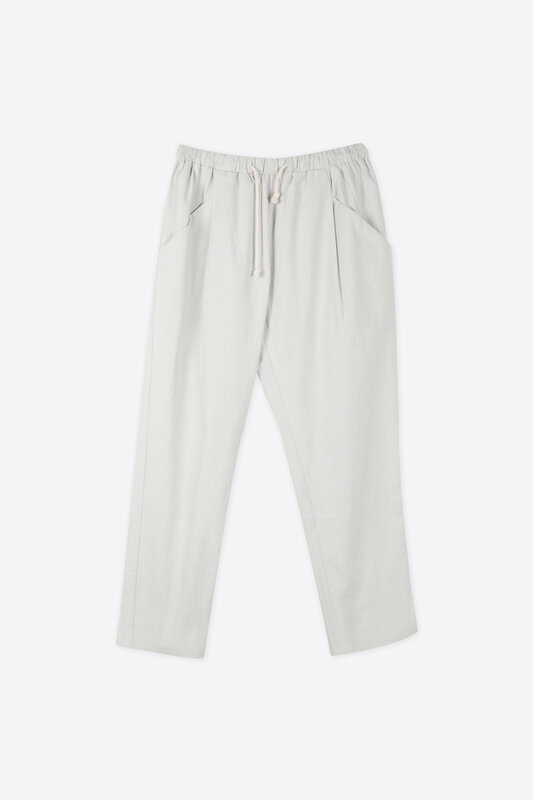 They feature an elastic waist with a drawstring cord, side and back pockets for functionality, straight leg cut, and pleats at the top of each leg for structure. Try pairing with contrast socks and your favourite sneakers for an on-the-go look. Care Instructions: Machine wash cold, lay flat to dry, or tumble dry low. Cool iron. Fit: Relaxed Approximate Measurements: XS: 25.5" waist x 27" inseam S: 27.5" waist x 27" inseam M: 29.5" waist x 27.5" inseam L: 31.5" waist x 27.5" inseam Model wears a size small. Model's height is 5'9".